The Arts by Karena: Artist Teresa Hatfield of Splendid Sass and a Giveaway! Artist Teresa Hatfield of Splendid Sass and a Giveaway! I was brought up in Montgomery, AL. I am mother to two fabulous children and love design, art, cooking, and all things southern. There is never a time that I don’t have sweet tea in the refrigerator and cheese straws hidden. I have a undergraduate degree in molecular biology, a masters in law, and have studied liberal and visual arts extensively. I was a banker for eleven years and a stockbroker for fifteen years. While I do love the hustle and bustle, there was something missing. I wanted to explore my creative side, and the rest is history. 2) Teresa your background and career choices are very impressing. How did you get involved in the World of Blogging!? I am always amazed at the quality of images you post. Many are some of the most gorgeous rooms in the world by premier designers. Thank you so much for your kind words, Karena. I visited a few blogs that I found in design magazines, and I became hooked. I knew immediately that I wanted to write my own blog. 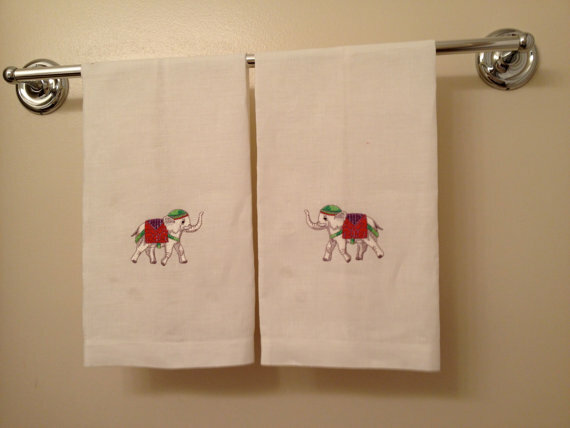 3) What brought out your latest artistic projects… the beautifully embroidered hand towels? Have you always had an interest in needle works? I have always loved needlework, from cross-stitch, heirloom sewing, and embroidery. If it is not glued down it is monogrammed. I decided to start my small shop. 4) Do you have plans for additional projects in the works? I have so many plans that will be implemented soon. 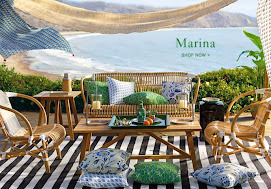 I plan to introduce a luxury linen line and monogramming services. 5) How exciting! Oh I think there will be a huge market for those skills! Who or what do you look to for inspiration in your art? Gosh, I can’t name just one. There are so many talented artists and designers, not to mention the many talented embroidery designers. 6)I love how you describe yourself, the quote on your site. “With interests in design, art, cooking, and business, I stay very busy. After spending years in the world of finance, I decided to follow my heart and use my creative and marketing abilities. I plan to use the experience I have accumulated in the past to guide my decisions in the future.” If only we all would do that, at any age! I believe that anyone can do what they dream of doing If they are wiling to work hard.. It is not easy and we all fail to get to where we wan’t to be. I am still striving. 7)It does seem that more and more women in our age group are deciding to live a more enriching and rewarding lifestyle. 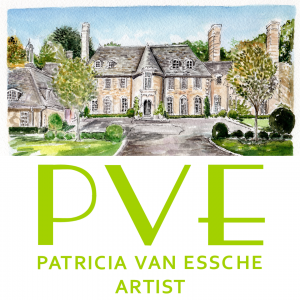 Do you have any advice to those looking to go into business for themselves with their artistic talents? Yes- love being poor! But if you are happy, you can’t get any richer. It took me years to realize that success is not the amount of money you make, but being fulfilled in what you are doing. I want to thank you so much for this interview and allowing me to share my work with your readers. I have a Splendid Sass Facebook Page. You can also order from Teresa and get a 10% discount The coupon code will be GIVEAWAY10 and will be for 10% off everything but custom orders. These make the loveliest hostess, birthday gift etc for any friend!! 1) Be a follower of Art by Karena via GFC, Linky, or Email Subscription. 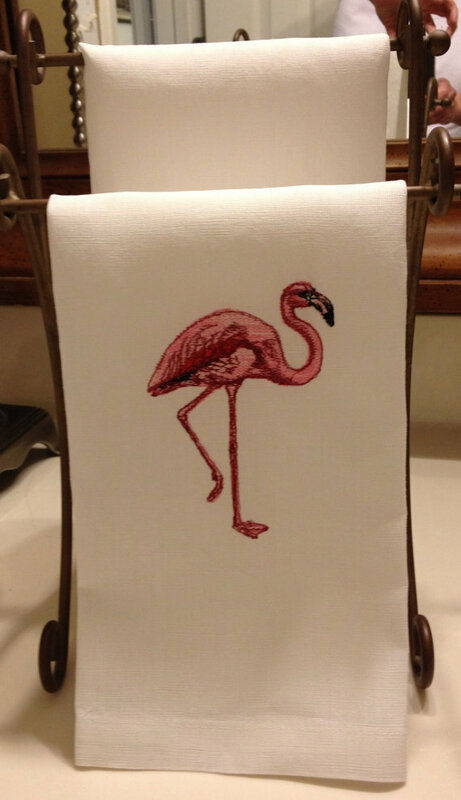 2) Comment telling us what is your favorite Linen Towel Design you love the most! THE WINNERS WILL BE CHOSEN ON SUNDAY JUNE 16 at MIDNIGHT EST! Thanks to all of you who support the arts and our fellow Blogger Friends!! Much thanks to Mary Ann of Classic Casual Home for choosing me to receive The Rowan Bracelet and also to Patricia of PVE Design for the fun summer tote! I will also receive a Linen Towel from Teresa for sponsoring this post! I am so very blessed. Another Giveaway is coming up shortly so spread the word! Great giveaway ladies! Im a fan of both of yours! I think my favorites are the pagodas and the elephants. Thanks for the indepth interview learning more about Teresa! so interesting. Wishing you a great week. I would love to be in your giveaway...I enjoyed the interview very much. My favorite, of course, were the towels with the fabulous shoes!! have a wonderful week!! I love reading both of your blogs and my favorite towels are the flamingos!!! Thank you so much for hosting this giveaway, Karen, on your gorgeous blog! Thank you for the kind words. New email subscriber. I love both the Tan Elephant and Blue Pagoda designs and cannot choose. What a treat to come over here and see this! I adore Teresa's blog, and she is so talented!! What a treat!! I've been a fan and reader of Splendid Sass since I started my blog. Teresa's posts are always divine. And so are her embroidered hand towels. I love the Pagoda ones! teresa's linens are so classic and beautiful--any color of the pagoda design is a winner in my book. What a talented person with such a diverse background. Karen you keep bringing these talents out of your sleeve :) Thanks for doing this. Lovely post! I purchased a gray Pagoda from Teresa and LOVE it!! I would love a Navy one as well!!! It is amazing what talented people we meet blogging! Karena what a fabulous interview!!! Teresa's work is brilliant. Of course I was swooning over the shoe towels... but what a wonderful treat to have any of these towels. The blogging world is filled with so many talented and wonderful people. So glad that Teresa is sharing her talent with the world. We certainly need more hand created things to fill our hearts and home. Hello ladies -- GREAT giveaway! I just received my towels from Teresa and they are absolutely beautiful! Sign me up for more -- I got blue pagoda, and now I'd love pink! Oh! Forgot to say that I thought I was already a follower! I am now! Of course I love the green shoe the best! Karena, I am a follower of yours and and what a lovely post! Teresa, beautiful work and I have to say my fave are the elephants : ) Love them! And HOW fantastic is Teresas work....!!! Theresa is such a kind woman and has a great eye for art, as you do too! I hope you are well, and thank you so much for coming to visit! I wonder if you are all getting the same insane amount of rain we are getting; I guess I shouldn't complain since we need the water, but it sure doesn't feel like summer! What a lovely post about Teresa and her art. She has a gorgeous blog that I have followed for sometime. You are sharing the love with this giveaway. I like all of her designs and I'm feeling the green shoe today. Delightful! Love the Pagoda motive most! Great give away! DOn't know if I can enter multiple times, but here it goes! Another great giveaway, karena!! These are so fun, I love the golden elephant!! Both you and Teresa have been huge helps to me over the years with blogging! Both of you are extremely talented! I have enjoyed getting to know Teresa so much! I always know I can count on her if I have any questions or to just provide incredible blog posts for us to be inspired by! Love the giveaway! 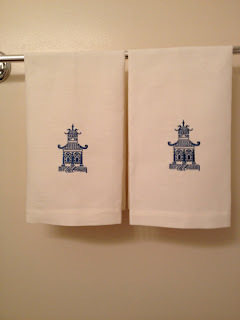 I guess I would choose the Pelican towel because it would be so cute in the beach house but I truly love them all! Have a great rest of your week! Gorgeous towels!!! I follow you both! Hope I win...off to check out her shop. Her work is very beautiful. Thank you for interviewing Theresa. I find it fascinating that she has such a varied background. I am so impressed that she is so adept at using her left and right brain in tandem! Karena, I'm so glad you received it! Thank you to every dingle one of you! You kind comments are beautiful! Thank you, Karena, for hosting this giveaway. Can't wait to see who wins! Good morning sweet one! How are you? I hope you are well these days! Thank you so much for coming to visit me. This is turning out to be a wild and busy summer, but that's what summers are for I guess! I will be around to comment on posts, just not posting due to my writing course. MAYBE I will slip in a short photo post, just to let people know I'm alive! Gorgeous, gorgeous towels ! !...Such a great talent!! I love the advice when you said love being poor. You are so right in this regard. Life is not about the money we make or the places we go. It is all about being happy and when you are happy you are the richest you will ever be.